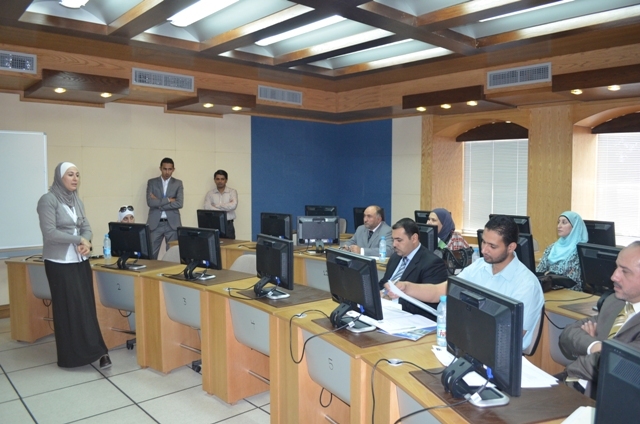 A delegation from the computer center at the Jordan University visited Hourani eLearning center at Al Ahliyya Amman University. The guests were given a warm welcome by Center Director Mrs. Sanaa Gharaibeh and center staff, showcasing the activities & infrastructure of the center, eLearning System (Moodle) and Online Examination System. The delegates were impressed by the achievements of the center in improving the academic environment of the university.